Okay, I did that. Start up is a bit faster. Now I'm mostly just having issues with games. World of Warcraft is insanely laggy on this computer but not my laptop, and I can't even really run the Sims 3 anymore. It takes more than 20 minutes to load, and then when it does, it freezes really quickly. Its essentially unplayable. Open your Task Manager before you play the game and try to see what's eating up the resources. Okay, I'm trying that right now. Edited to add: I didn't click the "resolve online now" because I'm not sure if its a well-designed virus or if its actually legit. I'm almost certain that it's a scam. Let's run a scan to check the Windows validity. 1. Download this diagnostics tool MGADiag.ext and save this to your Desktop. 4. Post the results in your next reply. Something doesn't look correct. Please go to Control Panel, programs and Features and click "show updates" to see if you're getting your updates. 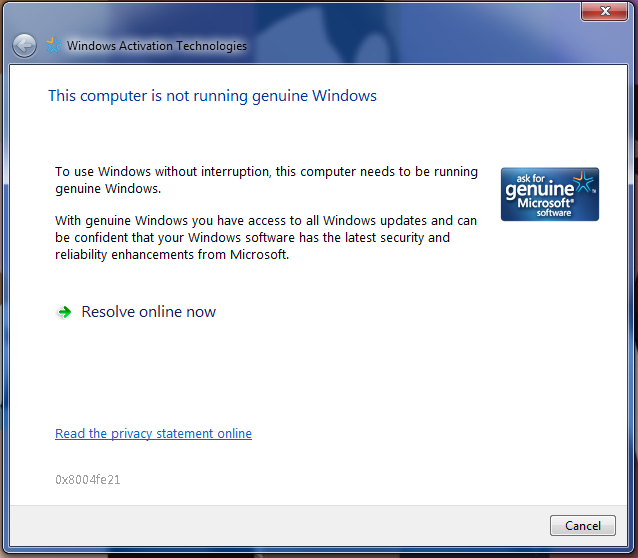 That should prove if the Windows is valid or not. Is that the right place? It seems like its getting some updates? Well, you're receiving your updates so the OS is legit. Please try the Task Manager fix that I suggested earlier. In the task manager, under the "Processes" tab, am I looking at "Memory" or "CPU"? Either way, nothing seems to be overly high, the most was Firefox at 297,000kB which is what, not quite 300MB? That doesn't sound like much... and that was by far the highest. Do you have the OS disk? If not, is the Recovery Console on a separate drive? You may have to save your important data and run the Recovery Console to take you computer back to the day you purchased it. Can I somehow order a recovery disc? Or do I have to purchase a whole new operating system disc? 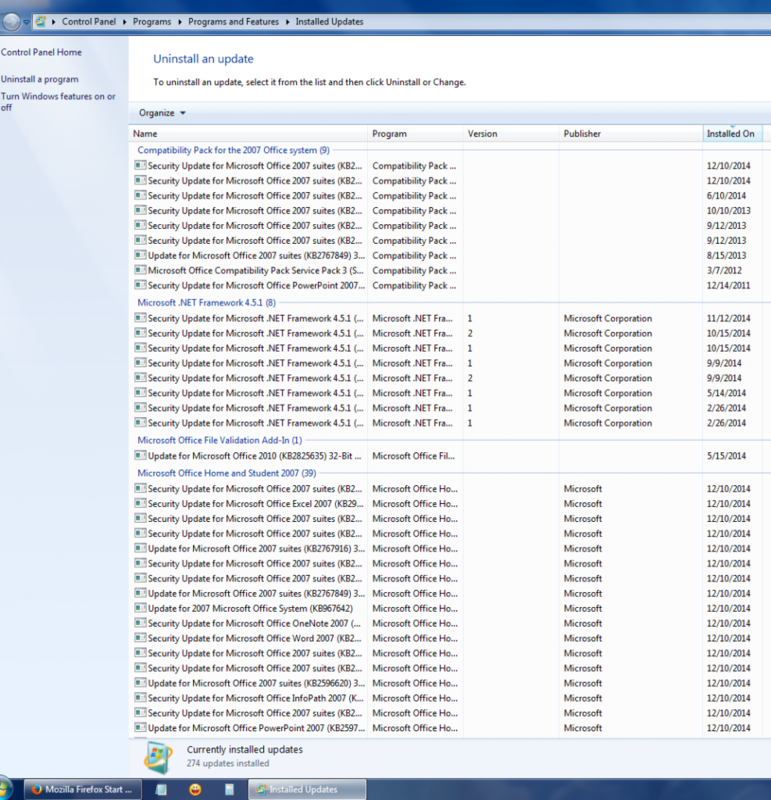 Windows 7 usually have a Recovery on a separate partition of your hard drive. Check and see if you have a D drive. 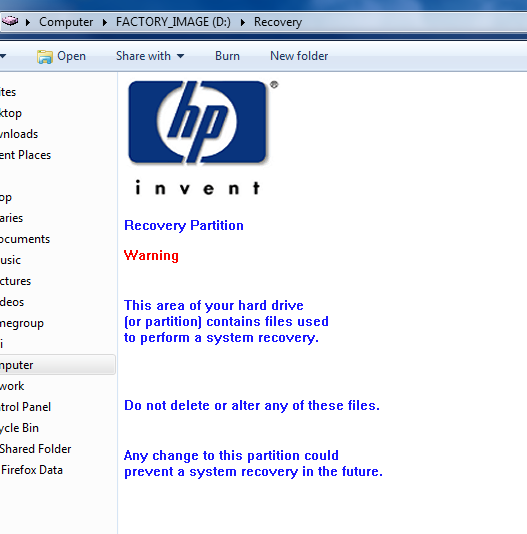 But I have no idea how to use a partition or what I would do to do a recovery. Do you think this is the best option? To do a recovery, I mean? And if so, can you walk me through it? To access the System Recovery Environment in Windows 7, simply boot your PC, just before the system loads the Windows operating system; hit the [F8] Function 8 key on your keyboard which will launch the Advanced Boot Options menu. There you will see a new option 'Repair Your Computer', select this option and hit 'Enter' on your keyboard. Okay, and this restores it to a factory state? So I need to put ALL of my stuff on an external first, right?